Only two days into the week and it’s already overflowing with new material. Fall’s referred to as Awards Season by a sect of people primarily concerned with film but the same logistical rules tend to apply to the the music releases as well. A good placement on any notable publication’s year-end list is a huge PR boost and– depending on the publication– it can open a lot of avenues to the artists as well. This generally causes numbers to balloon in fall, in hopes that those releases stay fresh in the minds of people who have the power to genuinely affect their career trajectory. It shouldn’t come as too much of a surprise, then, that the past few days have seen artists like Wildhoney, Alex Bleeker & The Freaks, Pet Cemetery, Martitime, Woozy, and Labasheeda all unveil full lengths. In addition to that Paper Trail Records released a staggering compilation, new songs from Sudakistan, METZ, Bethlehem Steel, Very Fresh, Casket Girls, Django Django, Cross Record, Martin Courtney, JEFF The Brotherhood, and Cass McCombs surfaced. While those are all worth taking in at least once, it’s a new name earning this post’s primary focus: Sheer. 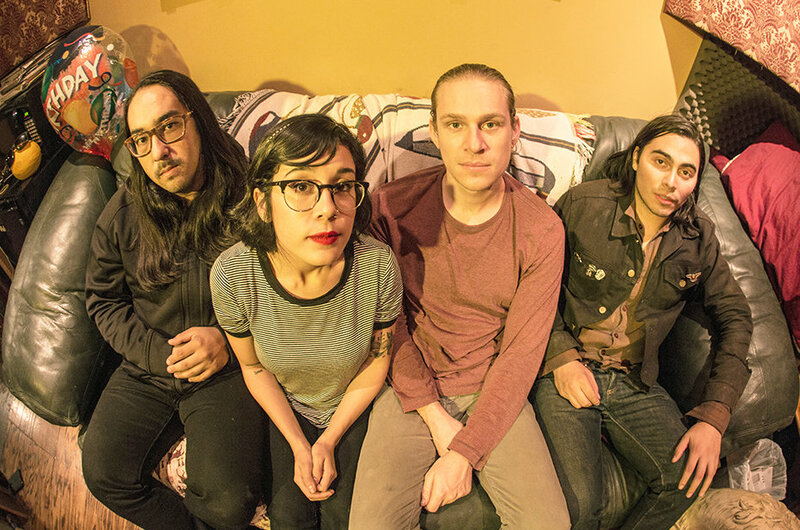 Over the near two years of this site’s existence, there’s been a tremendous amount of focus on acts incorporating elements of shoegaze, grunge, early ’90s slacker punk, and basement pop. So a band that filters all of the former elements through the guise of the latter is going to have my full, undivided attention. Enter: Sheer. “Uneasy”, the music video for their forthcoming record of the same name, is Sheer’s first major piece of publicity having formed just a touch over a year ago. The band comes off as fully formed, bringing a strong sense of identity to the Colin McCaffrey-directed clip for “Uneasy”. Nothing feels out of place and the band’s sense of control over every aspect of their craft is impressive. Primarily a performance edit for the verses, McCaffrey heightens the band’s atmospheric half-time drop in the chorus by augmenting it with some stunning visuals and seamlessly merging the two for the song’s breathtaking bridge. Soft transitions, lens flares, and a faded color palette all lend to the palpable sense of damaged romanticism in “Uneasy”. It’s a startlingly beautiful look at a band that’s well on their way to becoming a much bigger name right out of the gate. Watch “Uneasy” below and pre-order the band’s debut from The Native Sound here.